Outdoor touring company Without Walls has announced 13 new commissions following an open call . These include a national tour to UK festivals of Rosie Kay Dance Company’s Modern Warrior and a family musical called Bicycle Boy from Helen Eastman Productions, which will run at the Brighton Festival. Other Brighton commissions include Dedicated To… by Candoco Dance Company, WIRED by Flex Dance Company and aerial performance Look Up by Hikapee. 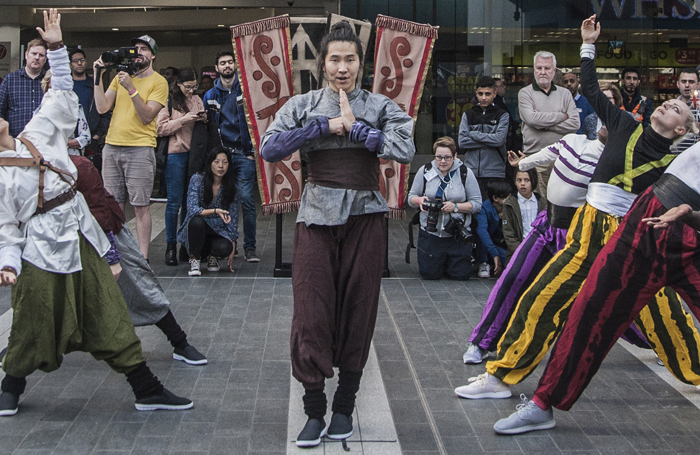 Commissions that will tour UK festivals from May to September include Belly of the Whale by Ockham’s Razor, The Hum by Flexer and Sandiland, Mirror Mirror by learning disability theatre company Mind The Gap and Routes by Theatre Temoin. These commissions will visit the Norfolk and Norwich Festival, the Greenwich and Docklands International Festival, Winchester’s Hat Fair and Stockton International Riverside Festival.